Tue., Oct. 24, 2017, 11:25 p.m.
A Washington State Patrol trooper was involved in a shootout Monday night in Grandview in Yakima County. At about 9 p.m., the trooper was led on a vehicle pursuit after attempting to stop a vehicle in Grandview, southeast of Yakima, for speeding, said Trooper Chris Thorson, spokesman for the WSP. The car, driven by two men, led the trooper west out of the city where they stopped at a private residence along Forsell Road. 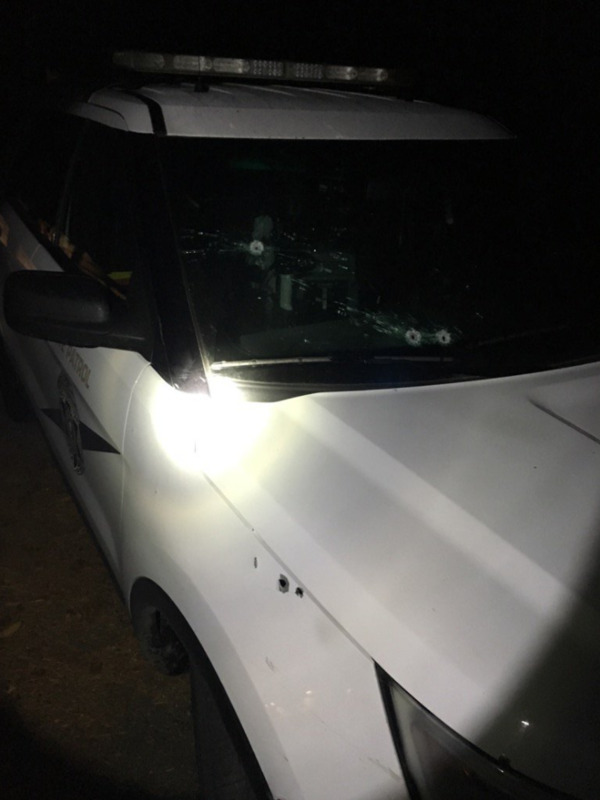 As soon as the vehicle was parked, the two men got out of their car and started shooting at the trooper who was inside his car, Thorson said. The trooper got out, took cover and returned fire. Thorson said it’s unknown if the men were hit. The trooper, whose identity has not been released by the WSP, was not injured. Both men fled the scene, Thorson said. A patrol plane was flying above the area Tuesday morning searching the nearby vineyards. The Yakima Herald reported that the men remained at large Tuesday evening. Published: Oct. 24, 2017, 11:25 p.m.